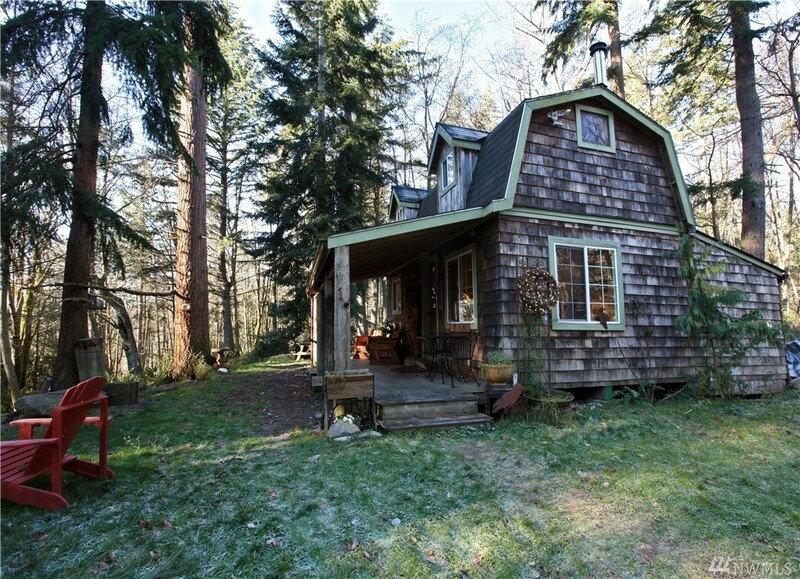 Acreage in natural beauty with several outbuildings and warm cabin settled in the privacy of Camano Island. There is a shop/garage/art studio and some yurt type buildings currently used for storage. Great camping site. Cabin has a wood stove, kitchen with eating room, separate back entry storage area, full bath with compost toilet, bedroom loft and even more storage space. It's affordable, lovely and intimate with spacious grounds. Year round or vacation weekender, this is opportunity.